This informal seminar given by Anna Larson was held at the Norwegian Embassy, and included discussion with people from a number of institutions based on recent AREU research around voting patterns and perceptions of democracy. 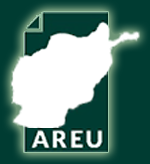 AREU researcher Sayed Mohammad Shah presented preliminary findings from his research on capacity-building and policy-making in the Ministry of Education to key stakeholders. Their feedback and ideas were helpful in refining the final research report. ACBAR organised and hosted this all-day workshop at the request of its advocacy working group, which had identified the issue of access as a key focus of its 2010 advocacy strategy. AREU facilitated the workshop at ACBAR’s request. AREU’s Zara Batul Nezami gave a talk on “Confronting Child Labour” in Dari as part of the Center for Policy and Human Development’s guest lecture series. Former AREU director Andrew Wilder presented results from the study of the same name. It was held at the British Embassy and included participants from the British, Danish and Norwegian embassies plus ISAF. It was followed by a lively discussion. This seminar by AREU researcher Emily Winterbotham, held at the Norwegian Embassy, was well attended and sparked wide discussion on the topic of transitional justice in Afghanistan. A seminar by AREU Director Dr Paula Kantor on the report “From Access to Impact: Exploring the Impact of Microcredit on Rural Livelihoods” was given as part of the Center for Policy and Human Development’s guest lecture series. AREU researcher Sogol Zand gave this seminar as part of the Center for Policy and Human Development’s guest lecture series. She presented findings from a case study of women’s participation in microcredit programmes in Parwan Province.